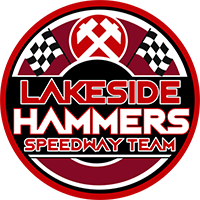 Lakeside recovered from a nightmare start to power to a 53-37 win at Redcar in the first match of their mini Northern tour. Such a scoreline looked unlikely when the Hammers trailed 2-10 after two races, and they suffered a further blow when Ben Morley was withdrawn following a Heat 5 crash. But with their heat-leaders in dominant form thereafter, the Purfleet side turned on the style to notch their first away victory in the Championship. Adam Ellis was their first heat winner but they still trailed by six when Morley tangled with Jonas B Andersen, with the Bears rider disqualified but Morley unable to continue due to a wrist injury. However Nick Morris – who had retired from Heat 1 – partnered impressive reserve Zach Watjknecht to a 5-1 in the re-run to put the Hammers right back in contention. Redcar led 25-23 after eight races but Richard Lawson surged past Tobias Busch on the last lap of Heat 9 for a match-levelling 4-2, and although Ellis touched the tapes in Heat 10 the visitors still went in front with a fine ride by Kyle Newman to see off Ben Barker with Ellis grabbing third from Theo Pijper. The Hammers quickly built on that advantage with another 5-1 from Morris and Wajtknecht in Heat 11, whilst Ellis kept the ball rolling by winning a shared Heat 12 when the Bears deployed Barker for a tactical substitute outing. And the visitors then went into overdrive to seal an empathic victory with back-to-back maximums in Heats 13 and 14 – first when Morris and Lawson raced clear of Barker and Matej Kus; and then with a smart Newman ride to get the better of Jordan Stewart and Mikkel B Andersen at the end of the first lap, whilst Wajktnecht controlled matters up-front. Ellis, who dropped his only points with his tapes infringement, then inflicted more misery on the Bears by winning Heat 15 with Lawson passing Stewart for third place. Manager Will Pottinger said: “We responded really well to what was really a disastrous start in the first two heats, and we won nearly every race after that. “The boys did a great job and we’re more than happy with the four league points from a convincing win away from home – it’s just a shame about Ben getting hurt. “It felt like the lads found their gating gloves after a ride each, but I was always pretty confident that might be the case. There was no panic after going down early – we know the team are good enough to come back. Ben Barker 10+1, Jordan Stewart 8+1, Mikkel B Andersen 6, Theo Pijper 4+2, Matej Kus 4, Tobias Busch 3, Jonas B Andersen 2. Adam Ellis 13, Zach Wajktnecht 11+2, Richard Lawson 11+1, Nick Morris 9, Kyle Newman 7+1, Alfie Bowtell 1+1, Ben Morley 1. Lakeside now head to Scunthorpe on Friday for a clash with one of the in-form sides at the start of the season. The Scorpions, however, have major problems to contend with, as the long-term absence of skipper Steve Worrall has been compounded by two further injuries this week. Stand-in skipper Jason Garrity crashed out of a guest booking at Belle Vue on Monday, whilst Stefan Nielsen broke his leg 48 hours later in a crash at Poole. The full make-up of the Scorpions side is therefore to be confirmed, whilst the Hammers will be without Ben Morley as they await news of the extent of his wrist injury following his crash at Redcar. Manager Will Pottinger said: “Ben went to the hospital and there’s obviously some damage, but we won’t know how much until he’s had x-rays or maybe even until the swelling goes down. “We hope it’s not too bad, but he definitely won’t be riding on Friday, and our only option is rider-replacement which gives more rides to Kyle (Newman) and the reserves. “Hopefully that will work okay, especially if Zach (Wajtknecht) carries on with how he’s going at the moment. Steve Worrall (guest or R/R), Stefan Nielsen (guest or R/R), Josh Auty, Jake Allen, Jason Garrity (guest or R/R), Danny Phillips, Gino Manzares. 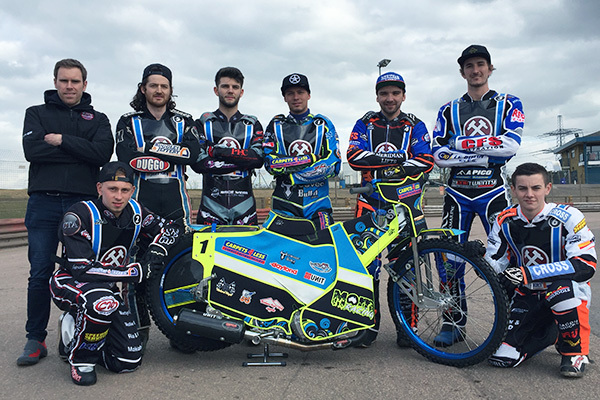 Nick Morris, Ben Morley R/R, Adam Ellis, Kyle Newman, Richard Lawson, Zach Wajtknecht, Alfie Bowtell.